Words Yo for iOS is available! 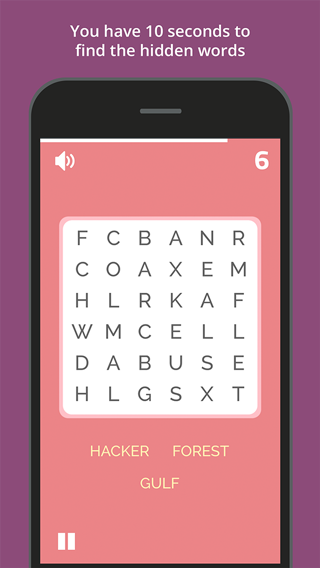 WordSearch Yo for iOS is out now! It’s 2017 and a great way to start the new year is with a new game. After months of hard work, my game “Wordigami” is finally out! It’s free and available on the App Store here, and Google Play here. Wordigami is a fun and original word game where you’re challenged to rearrange letter tiles into a grid that spells a common word along every row and column. It’s an addictive puzzler, and with 290 levels of increasing difficulty, it will keep you entertained for a long time. One thing I learned in 2016 is how hard it is to make games. It takes a lot of perseverance, especially when you’re dealing with weird platform bugs on Android (ugh). I’m really proud of Wordigami, it’s my first good sized game, and it’s a fun and original game. Words, Yo is out now on the App Store. 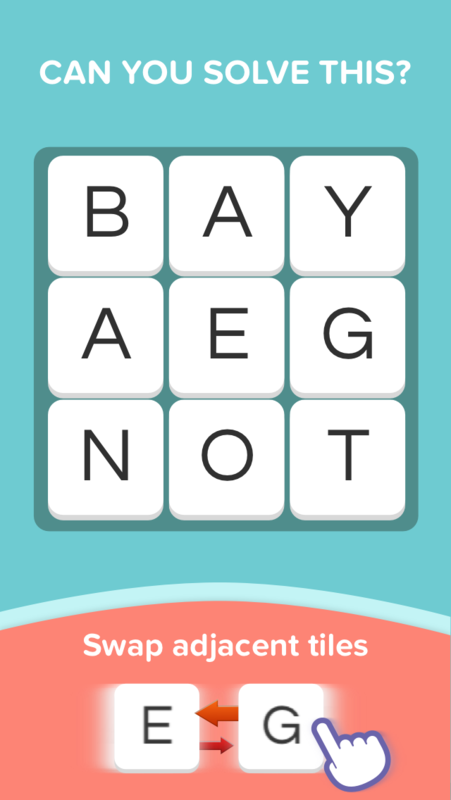 It’s frantic word game where you have two seconds to unscramble common four letter words. Challenge yourself by seeing how long you can last. Compare your score with your friends and earn achievements. Grab it on the App Store. One of the things you have to think about when developing your mobile app or game is security. If your app relies on a server, the api is an obvious source of potential security vulnerabilities and should be a concern to any concientious developer. There’s a lot of articles with solutions to the typical issues of dealing with passwords and logins, but I’ve been finding it hard to find ones on how to deal with things like preventing cheating, restricting api access to only the official client, and preventing users from faking game scores and premium features. There’s no obvious standard way of implementing these measures. Perhaps people with experience are not willing to blog about it and thereby expose their security measures. I’ve found that one source of useful information are articles by people who have reverse engineered mobile apps and games. It’s interesting and educational to see how published apps implement their security and also how they fare against efforts to reverse engineer them. Obviously, these articles will only describe successful attempts at bypassing security measures, so you might not be learning the best practices. Nevertheless, they are a useful source of ideas. 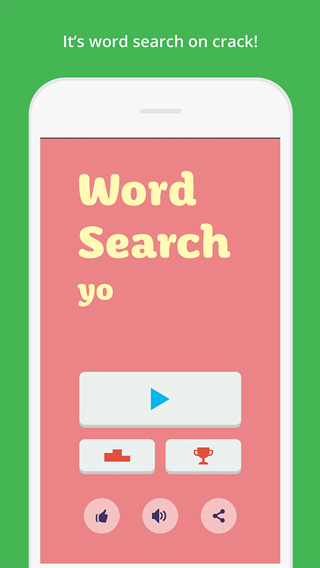 WordSearch Yo is out now on the App Store. 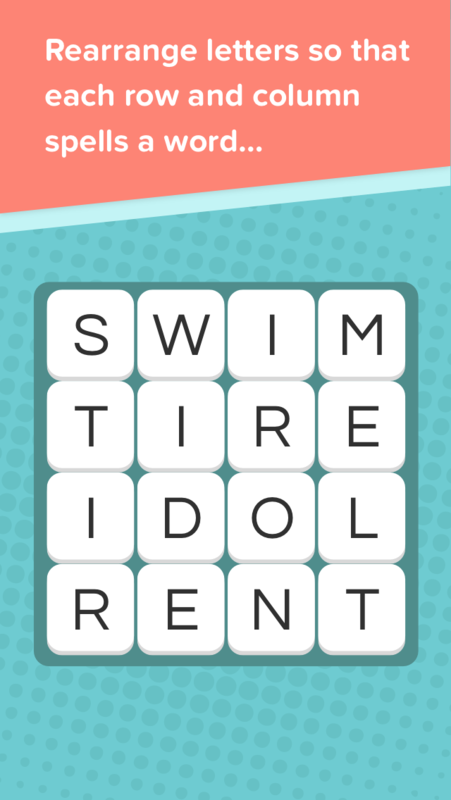 It’s fast paced word search game where you have ten seconds to find three words. Keep going and see how long you can last. Compare your score with your friends and earn achievements. Grab it on the App Store. It’s a lot of fun. Stay tuned for more games. Games typically have some randomness in them. The roll of dice, the deal of a hand of cards, or the selection of tiles in scrabble are all example of randomness in games. Implementing this in code can be as simple as calling the random number generator in the programming language you are using. However, when dealing with games that sync with a server and have some validation of results on the server, or that otherwise require cross-platform consistency, you’ll often want a random number generator that is repeatable, and guaranteed to be consistent across systems. In this situation, it can be a good idea to implement your own random number generator. It’s not as hard as you may think. Photoshop and illustrator can be pretty daunting to developers wanting to create assets for their mobile game. They’re probably the most complicated applications that I have to deal with. For better or worse, these applications have become standards. Fortunately, that also means there’s a lot of resources available thanks to the large community around these applications. Here are a few that I’ve found to be very useful. I recently released The Unfollow App for Android. This app has a long history with me. I started it over a year ago, and then abandoned it. I hate to leave things unfinished, and I wanted a project where I could learn about things like push notifications and in-app purchases, so I decided to finally buckle down and push this app through the door. Needless to say, it’s with great relief that I can finally post this blog entry! From Apple to Microsoft, everyone's gone flat. Vibrant solid colors, and simple elements with minimal style effects are in. Skeuomorphism is out. I, for one, welcome this change, and especially love the colorful flat icons that are part of this trend. Fortunately, flat icon sets have proliferated on the net for you to freely use in your site or app. I've previously posted about design resources. This time, I've compiled a list of free flat icon sets for you. I've focused mainly on sets with their vector sources (either in photoshop or illustrator), so that you can scale them without losing any quality. Even if you don't have the chops to be a professional designer, don’t dismiss the possibility of creating a beautiful site. There are many resources on the internet to help you with your design. If you have a good eye and you know where to look you might be pleasantly surprised at the end product. From icons, graphics, colour palettes, and full-fledged themes there’s something for every aspect of web design. I've compiled below a list of what I think are the best design resources to help even the non-designer. As I dive head first into writing full-fledged android apps, looking at the source code of apps has proven to be very valuable. I've found it particularly helpful when learning how to structure my code. Many thanks to all the developers committed to open source! I’ve compiled below a list of great android apps that have gone open source. If there’s any that I’ve missed please let me know in the comments. © Yargies Games. All rights reserved.